SLM Solutions is a leading provider of selective laser melting equipment (aka 3D printers). Metal additive manufacturing (AM) is gaining acceptance as a production technology in many facilities and opens the possibilities of component design and functionality. As part of our commitment to partner with customers, SLM Solutions North America has an office and development lab in Metro-Detroit to foster collaboration on metal AM projects. Partnering with our colleagues in Germany, our local team of North American experts, including service, application, and systems engineers, as well as a Ph.D. metallurgist, provide full installation, maintenance, training and other learning opportunities. This allows us to harness the capabilities and exercise best practices for selective laser melting. As a traditional manufacturing show, IMTS allows us to reach a machining audience that may not be familiar with additive technologies. By speaking to this audience we are able to introduce the possibilities the disruptive AM technology offers. An SLM 280, our midrange system, will be running live at the booth building in 316 Stainless Steel. It will be paired with our automatic powder handling system that not only recovers powder from the build and continuously sieves it and returns it to the machine, but it also operates in a closed-loop, inert environment to keep operators safe from exposure. A 30” tall Titanium fan blade, built on our largest platform, will also be on display along with a range of components and materials. At the Smart Manufacturing Hub (Booth 23-6800) we will present an introduction to the technology titled “3D Printing is Easy – Additive Manufacturing is Hard.” Join us as we explore the difference between 3D Printing a component and achieving qualified, reliable, repeatable, reproducible, serial production of parts in regulated industries such as aerospace, automotive and medical. We’ll look at the other technologies involved in the manufacture of typical components, the facilities and infrastructure needed, and the challenges of qualifying components in production. These sessions are free to attend on the show floor for all expo attendees. Join us Tuesday, Sep 11th at 2:30pm or Wednesday, Sep 12th at 11:10am. We always hope to expand knowledge about the technology and its possibilities. Metal additive manufacturing is a relative newcomer to the world of manufacturing, so we have to invest a lot of time in educating potential customers about where the process fits into their strategy. 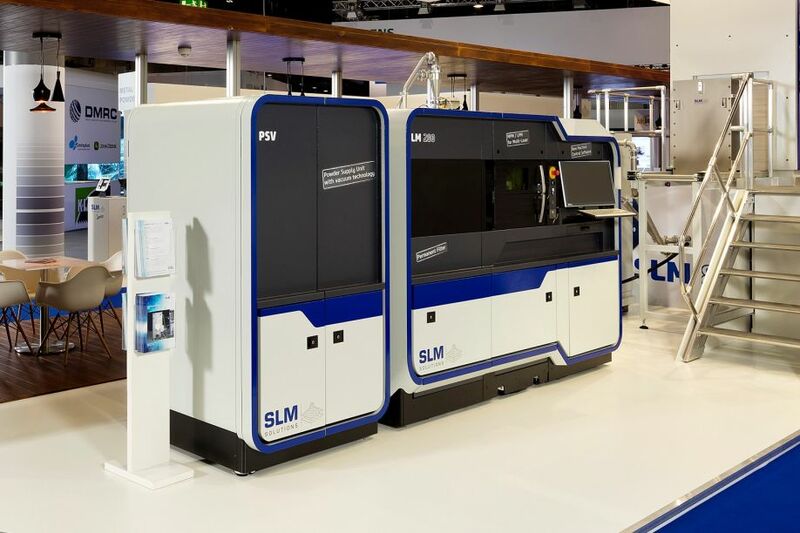 Trade shows offer the perfect opportunity to display a system live while starting those discussions about how to integrate selective laser melting into production. We are always excited at the range of attendees, too, so we have a chance to talk with everyone in the range from machine operators up to CEOs making investment decisions. Chicago is such a great city, and September a great time of year to be there, that it’s hard to decide what to see! Our team always tries to take in a Cubs game (they are in town during the show!) and the team always makes sure to enjoy a good steak (Webers Grill is a fan favorite in our office). If you have a little extra time the museum campus is always a highlight with the natural science museum, planetarium and aquarium offering a great way to unwind (even if you will still be on your feet! ).